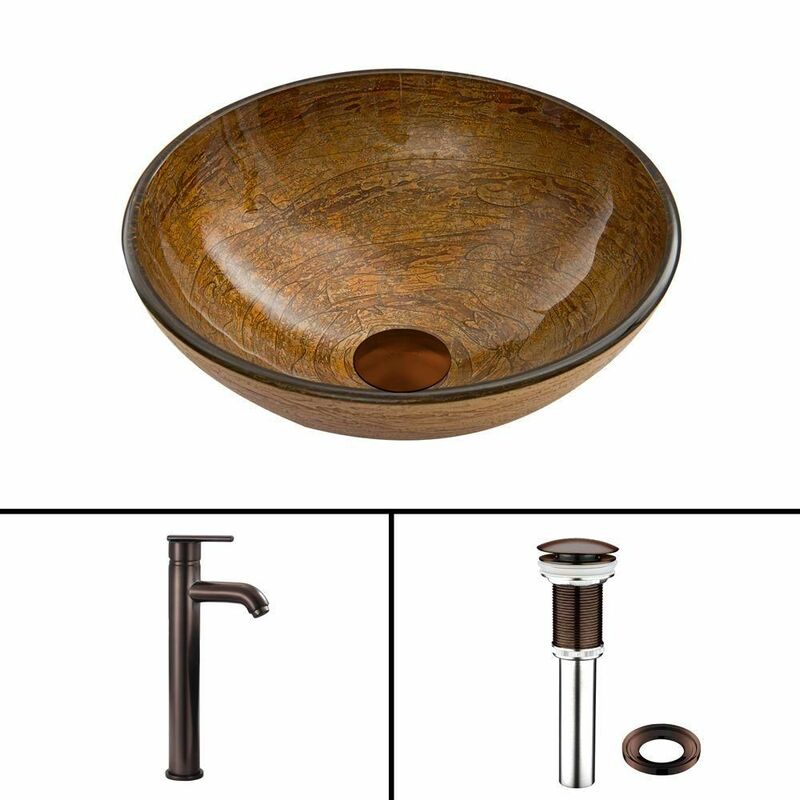 Glass Vessel Sink in Cappuccino Swirl with Seville Faucet in Oil-Rubbed Bronze is rated 4.0 out of 5 by 1. Rated 4 out of 5 by Ali22 from The sink exceeded my expectations, very high quality. However, the color of the faucet is not the... The sink exceeded my expectations, very high quality. However, the color of the faucet is not the color that was advertised. The color looks nothing like the picture; the color looks more like a metallic burgundy, rather than the bronze color that is advertised. Even in my pictures, the color looks completely different from what it really is. While shopping for sinks I saw a variety of faucets in the oil rubbed bronzed color and they all looked nothing like this one.